FDA has just approved a new gastric drain device for the treatment of severe obesity and it’s easy to find people with strong opinions about it. The AspireAssist system consists of a small tube placed through the skin and into the stomach. It connects to a port on the surface of the skin outside the stomach. About 20 minutes after a meal, the patient attaches a device to the port that drains about 30% of the calories consumed into the toilet. If you’re having a significant yuck response to this system, you’re not alone. It’s extremely polarizing. Strong, negative reactions from people who have no experience with the device are quite typical. Back in October, Stephen Colbert thoroughly mocked it in a four-minute segment on the Late Show. Aspire Bariatrics says their device works in two ways. First it prevents a significant portion of calories consumed from being absorbed. That much is pretty obvious. But it also requires that people chew more thoroughly so that food particles can pass through the 6mm tube, doubling the time it takes people using the device to consume a given portion of food. The device is used in combination with lifestyle counseling that helps people make changes to support better long term outcomes. But here’s the thing. 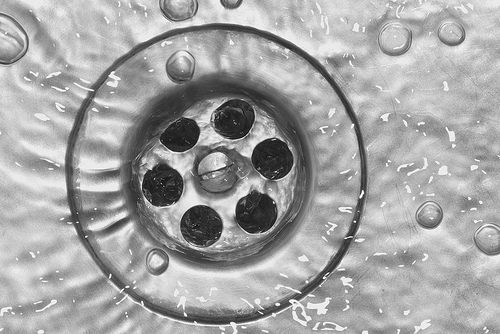 Once you get past the yuck factor, people who use this drain device are generally quite happy with it. Physicians and surgeons who were initially skeptical are surprised by how satisfied many of their patients are with their results. Compared to other procedures and devices, it appears to be very safe and pretty easy to reverse. And people lose about 12% of their total body weight with it on average. That’s more than the average response to drugs and lifestyle therapy. It’s less than the typical response to a gastric sleeve or bypass surgery. The manufacturer claims that the costs will be significantly less than for bariatric surgeries. Finally, though, because it’s new, the long term outcomes are not yet fully known. So you can expect to hear lots of jokes about this drain device, just as many people are still derisive about bariatric surgery. Be careful about dismissing it prematurely, though. It may turn out to be quite helpful for a significant segment of people living with obesity. Long-term data will tell us much more. Click here for the press release from FDA and here for an abstract of the pivotal clinical trial. Click here for more from MedScape and here for more from the Associated Press. Finally, this frank commentary from Science Alert is especially worth reading.